Film by director Hae-sung Song, whom lately is known for his 2010 remake of John Woo's 1986 action movie A Better Tommorow. However Failan is his career's magnum opus, which he hasn't been able to top since, and that's for a good reason, as it's a masterpiece of a movie. This drama is adaptation of Japanese novel by Jiro Asada. 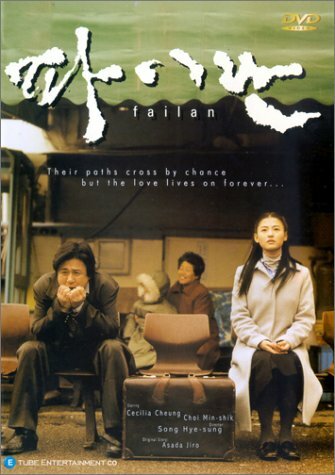 A young chinese girl Failan (Cecilia Cheung) after death of her parents travels to South Korea to find her relatives. Upon arrival she learns that they have moved away to another country, and left no contact information. Not wanting to go back, poor and lonely, she hopes to be able to live in this new country. To obtain staying permission she gets involved with local crime ring and accepts sham marriage. To pay back debt she is being forced to work in brothel, however due to her illness, she is unfit for that kind of duty, and gets to work as helper in small laundry in country side. This new life is better and more peaceful. Holding onto single photo of her husband, whom she'd never met before, she falls in love and thanks him for the life he has given her. 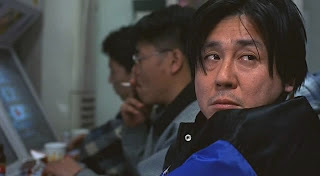 Enter Kang-jae (Min-sik Choi), a small time aging crook, lonely and forsaken man, whose dream is to own a fishing boat and travel back to his hometown. He is the one on the photo Failan has. In the middle of huge misfortune he is dealing with, he gets a message concerning well being of his wife. He travels to see her for the first time. Astonishing drama about love of two lonesome people, separated by distance, language, culture and lifestyles, connected only by small piece of paper. Missed opportunities, hopeless dreams and late realizations. It plays so well with emotions, that at some point it's guaranteed to bring tears to your eyes. Distinct performances by Min-sik Choi and Hong Kong's singer and actress Cecila Cheung. One of the finest drama movies that I have ever seen. A must see.